Samsung is getting certification for the Android Pie build on the Galaxy Note 9. The Note 9 sports a bigger 6.4-inch Super AMOLED display with curved edges to the side. At the Samsung Developer Conference a few days ago, the company showed off their new One UI based on Android Pie and promised a global rollout by January 2019. One UI is supposed to be a drastic upgrade from Samsung Experience 9.0 and will aid single-handed usage on all Samsung smartphones. And, it seems that Samsung is committed to deliver their latest OS to most of its flagship smartphones within the promised timeframe. First reported by SamMobile, the Wi-Fi Alliance has certified the Chinese variant of the Galaxy Note 9 with Android 9 Pie on board. The certification categorises the Note 9 as a router, which is weird. But, it makes it good to know that Samsung is moving fast on its promises and delivering the latest version of Android to its consumers as fast as possible. 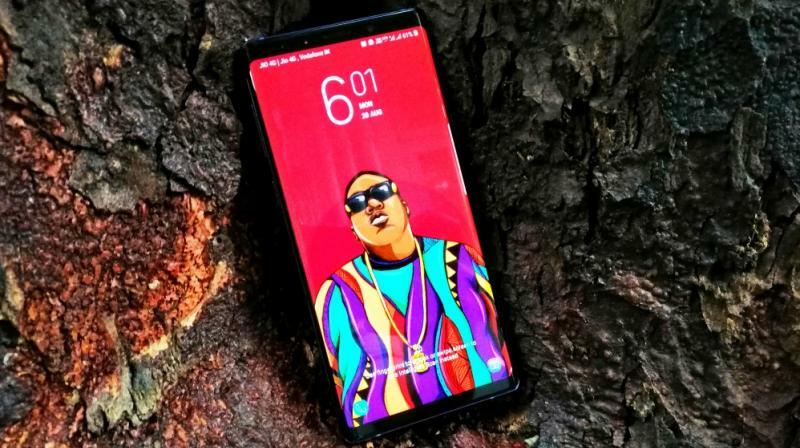 The Galaxy Note 9 is built around Samsung’s proprietary Exynos 9810 chip and is aided by up to 8GB of RAM and 512GB of storage. The Note 9 sports a bigger 6.4-inch Super AMOLED display with curved edges to the side. The S Pen is a major upgrade over its predecessors, acting as a wireless remote controller for controlling apps as well a scertain device functions. It is presently the most expensive smartphone Samsung sells in the market, with prices starting at Rs 67,900 for the base 64GB variant.